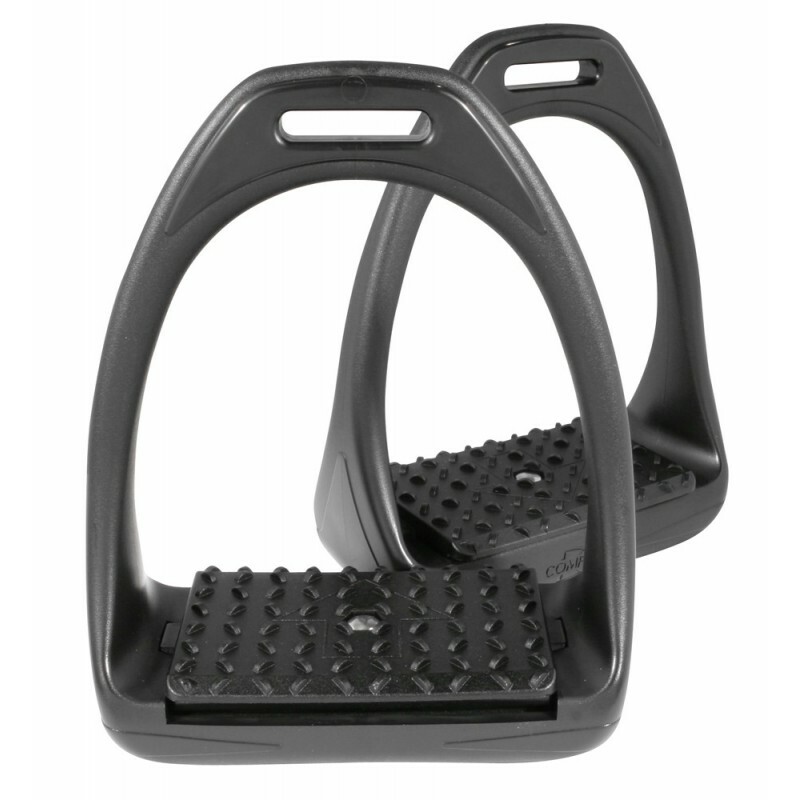 – Use all stirrups only in conjunction with the anti-slip rubber inlay! – If they are highly worn or have visible defects on the stirrup’s tread surface, replace/exchange the rubber inlays! – Keep the stirrup tread surface free of dirt at all times! – Ensure the stirrup tread inlays optimally fit before use! – Avoid contact with oil and soap! – Only use stirrup straps recommended by your specialist store and specially designed for horse riding! – Regularly remove corrosion from stirrups using rust remover and special polishes! – If there is any visible damage to the stirrups, stirrup tread inlays or any other horse riding products,have the item concerned repaired or replace it! – If heavy one-sided loading of the stirrup straps occurs, we urgently recommend occasionally swapping over the stirrup straps from one side to the other!